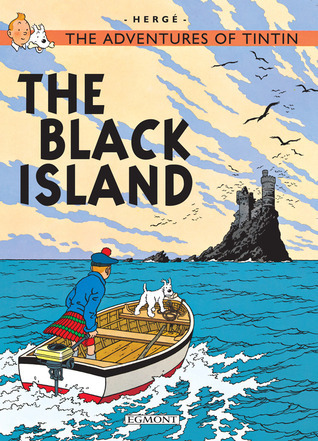 The Black Island is the seventh of the Tintin series. This story starts off with a bang... literally. Tintin is out for a walk with his dog Snowy when they come upon a plane that appears to be in trouble. The plane makes an emergency landing, and when Tintin approaches to see if he can help, he is shot for his trouble! Luckily it's just a grazing wound, and he wakes up in the hospital more or less okay. There he hears from the bumbling detectives Thomson and Thompson that an unregistered plane has crashed in England, and they have been put on the case. Coincidence? Surely not. Tintin checks himself out of the hospital and proceeds toinvestigate, and the usual crazy chain of events ensues. Tintin is soon matching wits with those who don't want him snooping around. He gets captured, escapes (with the help of Snowy) and soon runs afoul of a Dr. Muller, who appears to be the ringleader of a ring of forgers. He chases the bad guys all over England and ends up in Scotland, where he traces them to a crumbling castle on a desolate island. The castle apparently not uninhabited however- there is a local legend of a mysterious creature that resides there, and no one ever returns. This doesn't deter Tintin and Snowy of course, and when they arrive they find the legend to be true- although it's not what they would have expected. More hijinks ensue, Snowy comes to the rescue again, and Tintin finally comes face to face wih the ringleader of the whole operation- and gets a bit of timely last minute assistance. It's pretty much nonstop action from the get- go- I almost got breathless reading this. We found this on vacation and had to get it. My daughter loves these and we had a lot of fun laughing over this one.This is an early one in the series so the larger supporting cast of later volumes is absent- it's mostly Tintin and Snowy here, but that's fine and it works. The artwork is superb as always, and really gives you a feel for the locations that Tintin goes to. This one has it all- a chase on a train, plane crashes, you name it. A fun, action packed story and a joy to look at as well. Leelanau Books is a small, independent bookstore in beautiful Leland, MI (also known as Fishtown). Leland is a picturesque tourist and fishing village on the shores of Lake Michigan, on the Leelanau peninsula. It's just up the road from the Sleeping Bear Dunes National Lakeshore, called the most beautiful place in America not long ago by Good Morning America. Whether that's the case or not, it is beautiful there, and Leland is a great stop on the famous M22 route and a nice place to spend the day. Leelanau Books is located on Main Street in the heart of the little shopping district, and is bright and airy. It's air conditioned (for those hot summer days) and they have a great selection of local Michigan books. 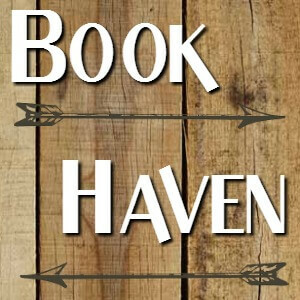 They host a book club and offer 15% off the book of the month, and offer free shipping as well. There is also a patio in back with a nice area for relaxing. There is also a cafe in the store now, called The Lil Leland Cafe, which serves coffee and sandwiches and various other items. The owner of the local Redheads Cafe, in nearby Lake Leelanau, decided to partner with the bookstore and you can now get a great coffee to go with your favorite book! I like the laid back feel of this place, and and it fits into the surrounding area so nicely. This is not a bookstore that will have everything under the sun, but they do have a good selection of the areas they cover, and of course they can order anything you might need. Leelanau Books is a great destination if you're ever in the area. "No, she won't; jusr act like me when you get home. And besides, you're the one who's all about taking risks lately. Wasn't it you who said, 'Mom's lying, too, so who cares?'" I've already read and reviewed this one (review here) but it was a fun book and wanted to share another teaser from it. Well we've been back from vacation and I'm ready to go again! I'm missing the up north breezes and spending evenings at the beach looking out over the water. Life is back to normal here and it was a pretty good week. I managed to get some pictures uploaded and did a Saturday Snapshot for the first time in a while. I'm having a lot of fun writing up my Bookstore Spotlight feature and will have another one this week. Keep those comments coming and let me know if you have a favorite bookstore too! I had a review last week for COYER and a couple more coming this week, so I'm pretty happy with that. I blew through a couple books this week- where did I find time to do that? They were pretty good - I'm on a roll with my books lately, hope that keeps up. What are you up to? The High Summer Readathon is in full swing, and while I didn't participate this year I enjoyed it last year and it's been fun to read the posts. From The Editor's Desk: Penguin editor Wendy McCurdy discusses The Wild dark Flowers by Elizabeth Cooke (my current read) and what a great proposal it was. And the big news for me: a third Rutherford book is in the works. I'm in. Pamela Druckerman (author or Bringing Up Bebe) talks about the French way of buying books. I always enjoy reading her perspectives as an American living in Paris. Great piece. We spent the week before last up north on vacation in the Traverse City, MI area and I'm finally getting around to getting some pics up. Here's a little snapshot of our time up there. I decided to post some pictures from our vacation up north in Traverse City, MI last week. We spent a lot of time by the water, but we also took some fun day trips and spent some time in bookstores too. I'll post a few pics of the bookstores but for a more in depth look check out my Bookstore Spotlight feature, which I'll be posting more or less weekly for a while. You can find the first two here and here. 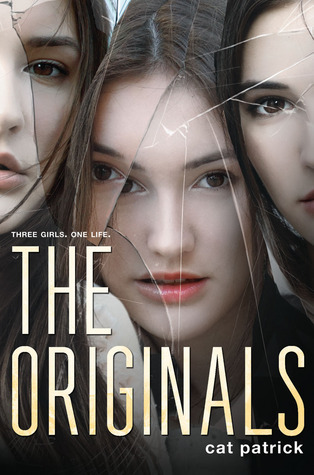 The Originals by Cat Patrick is an interesting story about 3 girls who are identical triplets... or at least they were. Lizzie, Ella and Betsey take turns going to school, and everyone else thinks they are the same person- Elizabeth Best. They split the day into sections and each of them has their assigned section. In actuality, the girls are clones- raised by their mother and hidden, so that the outside world thinks there is just a single mother and her daughter. The story is told from the perspective of Lizzie, and everything is going normally for the girls- they have their routine and their system down- until Lizzie starts to fall for Sean Kelly, the guy in her Creative Writing class. Things get complicated when Sean asks Lizzie to lunch, and she realizes she can't make it because her sister Ella has that part of the day. The girls aren't allowed to date, but with Lizzie and Ella both having guys they're interested in, they begin to push back on this, and their mother soon relents- but with conditions the girls find unacceptable. Lizzie finds her budding relationship with Sean in jeopardy, and decides to take matters into her own hands. On top of that, she begins to suspect their mother is not what she seems- or has secrets to hide. When clues begin to emerge that there is more to their mother than meets the eye, they resolve to find out the truth and take their life back. I liked this story a lot, it was compulsively readable for me and I finished it in a day. 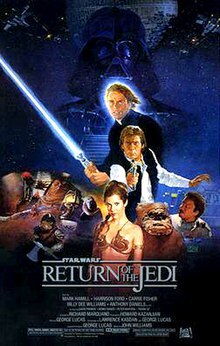 The plot seemed pretty farfetched in the beginning- I mean, how would this ever really work?- but I was pleasantly surprised, not only did it comes across as somewhat plausible, but the questions it raised as I was reading were actually fun to think about. How would something like this work? What happens when one girl falls for a guy, and the other two see him? And what exactly is the deal with their mother that she would put them through this? I wanted to know the answer to that. The writing is good, I'm a fan of Cat Patrick after this book and will look at her other books based on the strength of this one. While I suspect most seventeen year old girls in this situation would have rebelled or pushed back long ago, or at least been less tolerant of their mother, the story seemed pretty realistic to me, and I enjoyed reading about the high school situations they found themselves in. The girls each have distinct personalities, and Sean adds a nice touch to the story- for some reason he reminded me of Levi from Fangirl at times- I'm not sure why, since he's not really like Levi, but he's a nice guy in that vein. This book was fun and I was sucked in from the get-go. I liked the three sisters and their dynamic- they can feel each others' distress, there is almost a telepathic connection between them- but the science fiction elements are pretty much limited to that. The story is mainly a coming of age story with a twist. The premise may seen a little silly but it's played straight and the writing makes it fun and compelling. I really liked how events come together and it gets a little tense at the end- but the ending is well done and touching. A very fun read. Brilliant Books is an independent bookstore on Front St. in Traverse City, Michigan. They are located in the heart of the downtown shopping district- they've been there now for a few years and have really established a niche for themselves in the downtown area. From the moment you walk in it feels like you are entering a haven from the hustle and bustle outside. The store is peaceful and quiet, with hardwood floors and a large open area with couches and chairs to lounge in. It's one of those stores where they don't have everything- rather they try to carry the best of the genre as they put it- and of course they can order anything, if they don't have it. What they may not have in selection though they make up for in ambience- it just has a nice vibe to it, almost like a little coffeehouse shop. Their children's section is quite good and very well stocked, and throughout the store are staff recommendations and helpful suggestions. My daughter was looking for the third book in the Land of Stories series by Chris Colfer, and after visiting the bigger bookstore down the street and being told they would have more in a few days, we came here and they had several in stock. Brilliant Books calls themselves "Your Long Distance Local Bookstore", as they realize that a large part of their clientele are the tourists who flood Traverse City every summer. They want to keep in touch with their far flung customers and do not charge for shipping, which I think is nice. They've come a long way from their humble beginnings and you can read a little about their history here, including the little story of how they spent their first Christmas in business without any shelves! It's a great story and I hope Brilliant Books remains a vibrant part of Front St. for many years to come. Their website is here and their Facebook page here. Their FB page in particular is worth checking out, just to see which authors have dropped in and the other cool stuff they have going on. We are back from vacation after a week up north in beautiful Traverse City MI. We had great weather after a rough start, and had a lot of fun. I'll be posting some pics as soon as I get them organized. And... I got some nice pics for my Bookstore Spotlight feature. We spent time in three (yes, three) indie bookstores this past week, and I'll be spotlighting them in the coming weeks. I look forward to sharing these great stories with you guys. Of course, we got a few books too along with all the fun in the sun! I need to get caught up on COYER as well. I had a review last week so will be linking that up. I did have some prescheduled posts go up but didn't get around much, so I'll be catching up this week. Thanks everyone who stopped by and commented. If you missed my first Bookstore Spotlight you can check it out here. 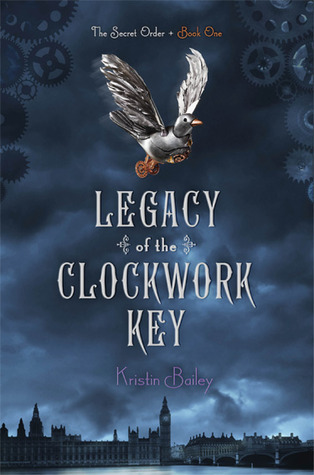 Legacy of the Clockwork Key is the story of Meg Whitlock, a young woman in Victorian London whose life changed forever when her parents' watch shop was destroyed. All Meg has from her old life is a watch that she recovered from the ashes- the watch is precious to her as it reminds her of all she has lost. However the watch is more than it seems-as she soon discovers when she meets the stableboy Will, and and they discover a secret passage leading to a workroom of sorts- a workroom filled with all manner of strange devices. She soon discovers the existence of a secret society, a group of influential minds from al over the world who develop clockwork creations. What is the connection to her? She soon finds that her parents, and indeed her grandfather, were part of this secret order, and her whole life is turned upside down. She finds herself the target of a killer- someone who is killing society members, and wants her dead too. I liked this story- the writing is good and there is atmosphere and tension. There are clockwork beats to contend with, a mystery to solve and even a sea monster! It's action packed but the romance also plays large part in the story. Perhaps too large a part- I just thought the romance was handled clumsily. For example, early on Meg is told to avoid the groom- so the very next morning she gets up extra early to- you guessed it, go see the groom. I mean, really? And the author lays it on pretty thick when he touches her and she gets all swoony- I was rolling my eyes a bit. That's my only real complaint. tHe story moves along, the secondary characters are fun and I really like the concept of the secret order hidden in Victorian society. The conclusion isthrilling and Meg must make an agonizing decision- the kind that makes you wonder what you would do. I really liked how the author focused on the social mores of the era. This is a good, fast paced adventure with nice period sensebilities, an occasionally silly romance, and some fun gearpunk elements. I liked ti and am looking forward to seeing what next for Meg. This week is Top Ten favorite movies- yay! Gosford Park is a mystery and a comedy of manners, and is probably my favorite movie. The cast is awesome and there is so much going on that even after repeated viewings, I still discover things. An inspiration for Downton Abbey, if you like that show at all you really should see this movie. 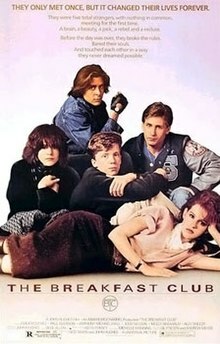 Probably one of my top 3 movies ever... so many great lines in this movie, and the soundtrack is great too. Yes I like Desperately Seeking Susan- this movie rocks. Okay maybe that's pushing it- but it has that 80's New wave vibe in New York City going for it, and it's just fun. 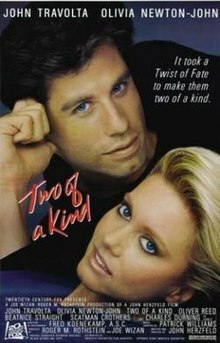 It's one of those movies that if I'm flipping channels and it's on- I'm watching it. 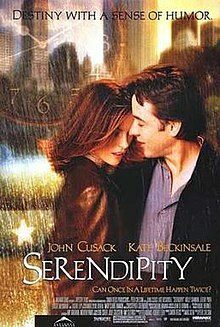 Serendipity is one of my favorite romantic comedies, and explores the question of how far will you go to reconnect with the one? Another John Cusack movie, and Kate Beckinsale too. 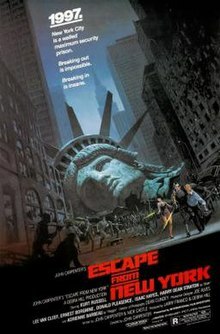 Escape from New York just has atmosphere going for it. Sunday Post #52 Happy July 4th!